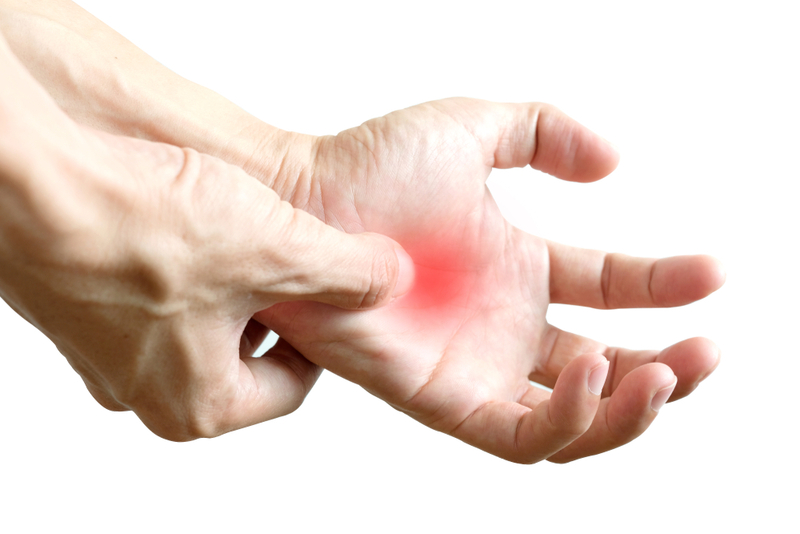 Typical Symptoms; Associated with repetitive strain injuries and overuse. Sometimes follows pregnancy when new mums are regularly holding or carrying their babies Any movement of the thumb or wrist will be painful. 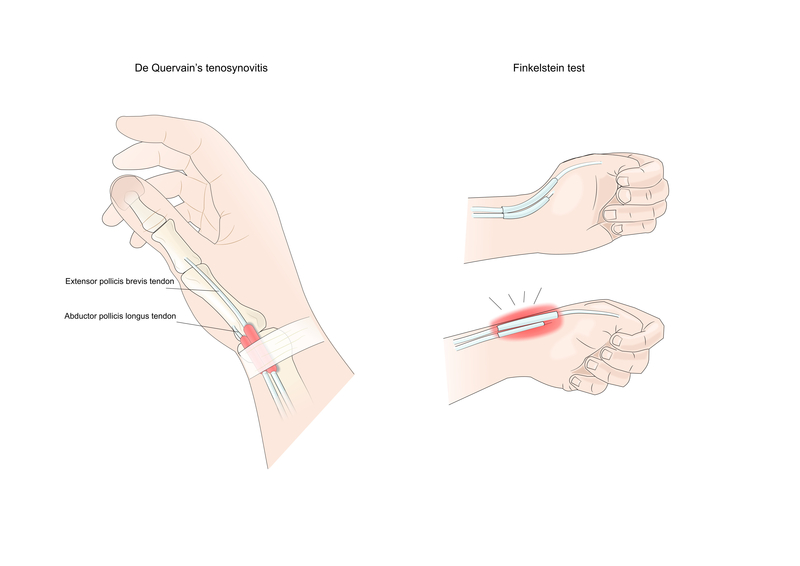 A common cause of thumb pain is De Quervain’s tenosynovitis. 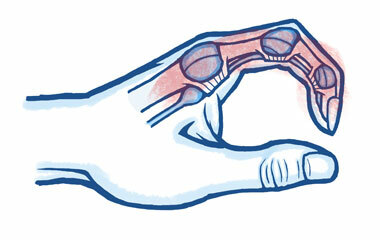 This affects the tendons around the base of the thumb and wrist. The tendon sheath surrounding the tendon becomes swollen and thickened impinging movement, and moving your thumb will be very painful. Osteopathy can be useful using gentle massage and mobilisation techniques. Key to treatment is identifying any aggravating factors. Trigger finger is another form of Tenosynovitis that is characterised by the inflammation of the fluid filled sheath that surrounds a tendon in the fingers (normally the forefinger). 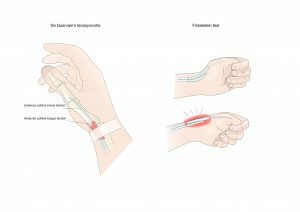 A tendon usually glides easily through the tissue that covers it (called a sheath) because of a lubricating membrane surrounding the joint called the synovium. Osteopathy can be useful using gentle massage and mobilization techniques.